Compatibility: Requires iOS 7.0 or later. Compatible with iPhone, iPad and iPod touch. Android 4.0 or later. 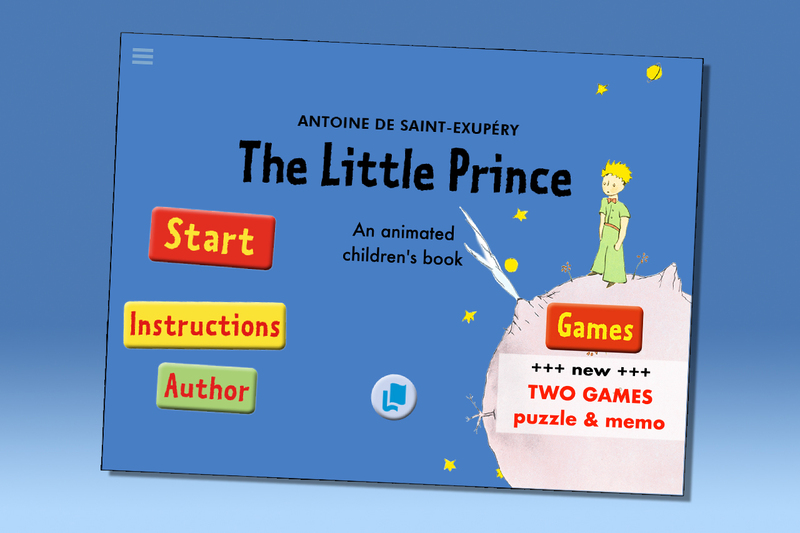 Antoine de Saint-Exupéry’s famous story ‘The Little Prince’ as an app for children to read and discover. Animation, sound effects and magical music make this adaptation of the story an unforgettable experience. 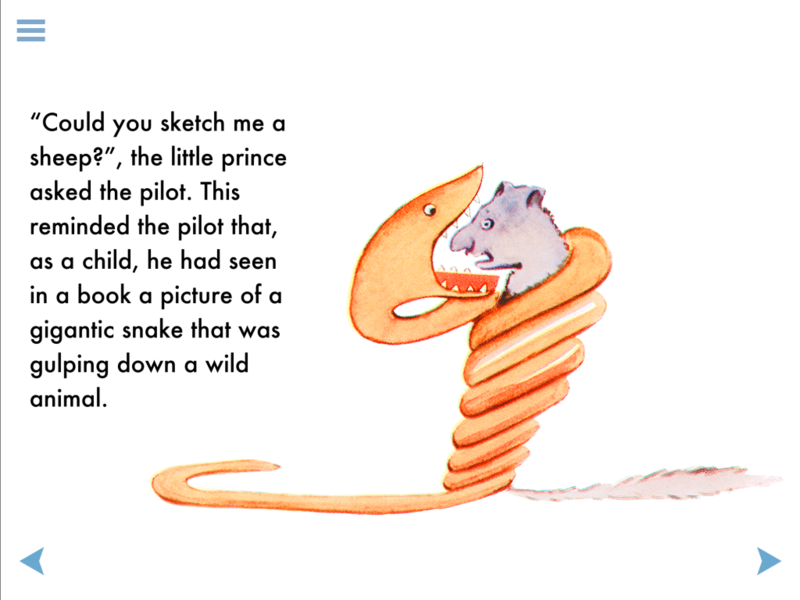 Antoine de Saint-Exupéry’s story of the golden-haired boy may well be a familiar one. It has captured the imagination of millions of children and adults. Now it is available in a poetic and modern version. With exciting animations, sound effects and specially-composed music, the author’s illustrations really come alive. 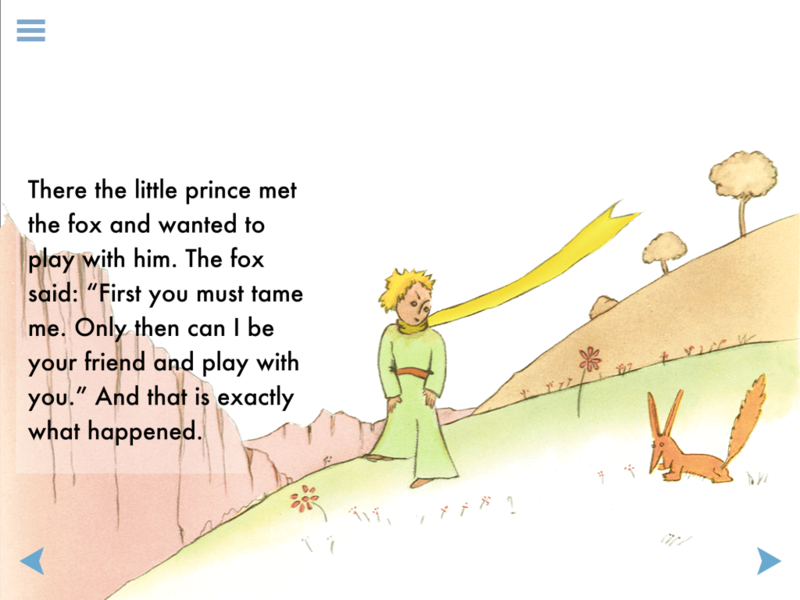 Even smaller children will fall in love with the story of The Little Prince. It is told in 5 separate chapters and 34 interactive scenes. The easy and simplified language, based on the original story, will whisk the whole family off to the magical world of The Little Prince. In the app, you will live the adventures of the Little Prince from the moment he leaves his planet to his landing on planet Earth. It deals with the major topics of his departure, a new beginning, the quest for company, the discovery of friendship and saying good bye. 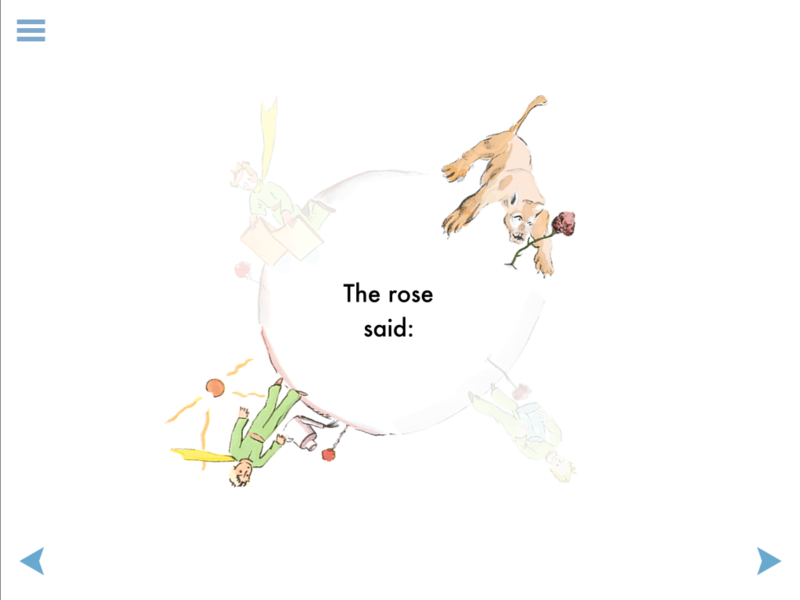 The text can either be read or listened to and is told by a professional narrator. 2015 recommended by Swiss Television SRF in the section ‘The best apps for children’. The poetry of the story by Saint-Exupéry has been preserved despite simplification.